e-mail – Len Bilén's blog, a blog about faith, politics and the environment. 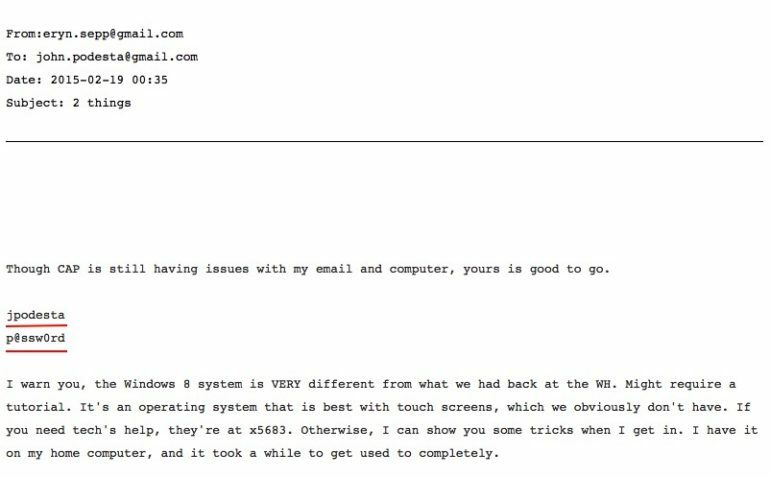 Podesta’s e-mail hacked, the fallout, a Limerick. must be Russia, you see. Did this have election impact? The Russians are good hackers. They hack and sell passwords, hack and demand ransom to restore computers, hack for industrial and military espionage, I could go on. They have been doing this since the internet started. The lower level hacking, such as Podesta’s e-mails, is usually done at the cottage industry level, the more sophisticated espionage is controlled centrally. But Russia is not the only hacker. China is much more prolific, at least as sophisticated, and has the goods on all U.S. citizens (more than 20 million) with top secret or secret clearance, and all government employees. There are two types of corporations in the U.S. Those that have been hacked, and those that don’t know yet they have been hacked. Other actors are North Korea, Iran, Nigeria, and many US allies. When all these hackings were starting the Bush Administration did very little to combat it. The Obama administration did even less as hackings grew in numbers and level of sophistication. By doing nothing, he gave away trillions of dollars worth of intellectual property, and jeopardized our security. Now, after losing the election Obama wakes up and expels some some Russian diplomats from two compounds that have been doing mostly industrial and military espionage since the 70’s. Way to go, Obama. First you used U.S. taxpayer money to try to prevent the re-election of Israel prime minister Benyamin Netanyahu. Netanyahu won in a landslide. Then you went to London and said “If the U.K. voted to leave the E.U, Britain would be left back in the queue”. Brexit won convincingly. You campaigned hard for Hillary Clinton and ridiculed Trump as much as you could. Trump won in an electoral landslide. Now you think you have found the culprit: Putin’s Russia. At least Trump is forming a group to report within 90 days how to handle cyber security in his administration and for the whole country. It won’t be easy or cheap, but it must be done to preserve freedom. Posted on January 7, 2017 January 8, 2017 Categories campaign, Clinton, Donald Trump, limerick, Obama, PoliticsTags Brexit, Cyber Attacks, e-mail, election, Hillary Clinton, Limericks, Netanyahu, Obama, p@ssw0rd, Podesta, politicsLeave a comment on Podesta’s e-mail hacked, the fallout, a Limerick. One more verse to the Hillary Clinton nursery rhyme: What is top secret? Hillary, Hillary, what is top secret? Posted on April 11, 2016 Categories Politics, songTags e-mail, Hillary Clinton, nursery rhyme, song, top secretLeave a comment on One more verse to the Hillary Clinton nursery rhyme: What is top secret? Hillary Clinton the confused. A nursery rhyme. 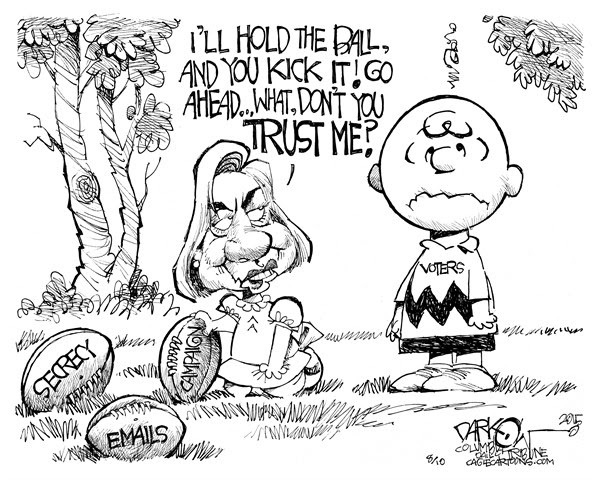 Hillary Clinton often confused. Who would have thunk? Here are 21 questions for Hillary Clinton. I have made them in the form of a nursery rhyme to make the questions age appropriate for the average low information voter. The answers are purely hypothetical, and does assume a candidness, free from lies for which she hitherto has not been known. Hillary, Hillary, what did you see? Hillary, Hillary, what did you do? Hillary, Hillary, what did you say? 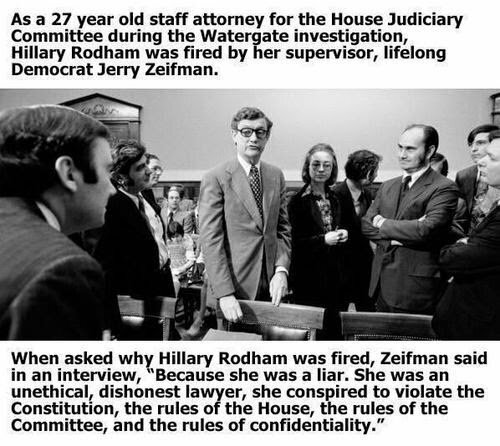 Hillary, Hillary, when did you lie? Hillary, Hillary, what did you write? Hillary, Hillary, why do you run? Hillary, Hillary, what do you eat? Hillary, Hillary, what’s with your hair? Hillary, Hillary, why did you speak? Hillary, Hillary, do you love life? Hillary, Hillary, why did you cry? 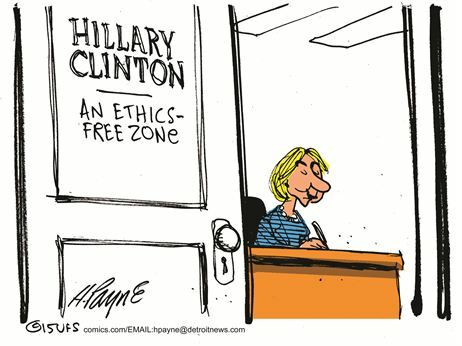 Hillary, Hillary, what was your fee? Hillary, Hillary, what was the deal? Hillary, Hillary, why all the lies? Hillary, Hillary, what is the day? Hillary, Hillary, are you contrite? Hillary, Hillary, are you for real? Hillary, Hillary, are you confused? Posted on November 16, 2015 November 25, 2015 Categories politicsTags e-mail, Hillary Clinton, Huma Abedin, nursery rhymeLeave a comment on Hillary Clinton the confused. A nursery rhyme. Hillary Clinton’s e-mails hacked by China. A Limerick. Our Government is in their sack. Background: Robert Windrem, NBC News. China’s cyber spies have accessed the private emails of “many” top Obama administration officials, according to a senior U.S. intelligence official and a top secret document obtained by NBC News, and have been doing so since at least April 2010. The email grab — first codenamed “Dancing Panda” by U.S. officials, and then “Legion Amethyst” — was detected in April 2010, according to a top secret NSA briefing from 2014. The intrusion into personal emails was still active at the time of the briefing and, according to the senior official, is still going on. In 2011, Google disclosed that the private gmail accounts of some U.S. officials had been compromised, but the briefing shows that private email accounts from other providers were compromised as well. The government email accounts assigned to the officials, however, were not hacked because they are more secure, says the senior U.S. intelligence official. Update; There were at least two e-mails containing satellite images of crypto secret quality – the one class above top secret sent from Hillary’s server. This is much worse than what General Petraeus was convicted of. 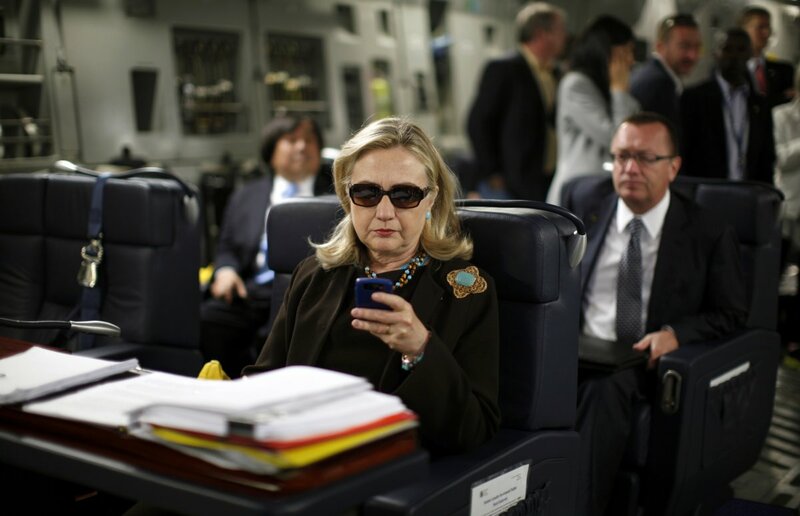 Posted on August 11, 2015 August 13, 2015 Categories limerick, PoliticsTags China, e-mail, email accounts, Hillary Clinton, Limericks, NBC News, politics1 Comment on Hillary Clinton’s e-mails hacked by China. A Limerick. The Clinton Foundation, Hillary’s e-mails ready to hack, lawlessness running wild. A Limerick. Hillary Rodham Clinton June 20 2007 accused then President Bush of disregarding the Constitution and promised to bring a new progressive vision to the White House. The picture on the right has Hillary Clinton on her way to Libya. 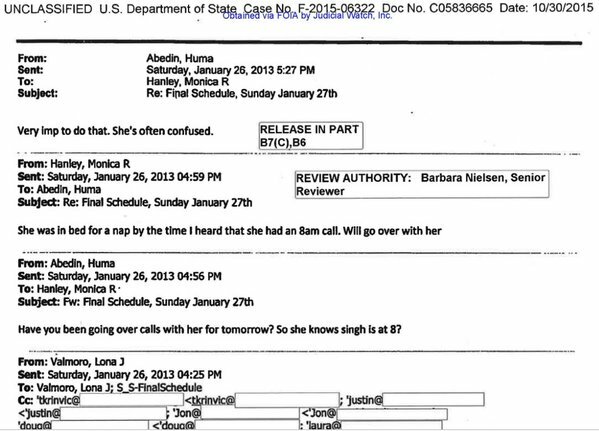 Interesting enough there are no released e-mails from her from that trip. The Queen of the lawlessness pack. Her e-mails for Russians to hack. The Clinton Foundation; a PAC? 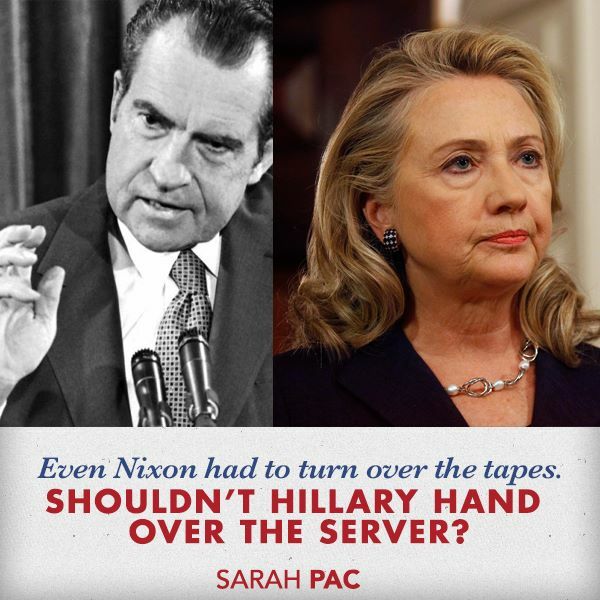 But she learned one lifelong lesson from the Watergate investigation: Don’t leave a trail. Posted on March 4, 2015 April 3, 2015 Categories limerick, PoliticsTags Clinton Foundation, e-mail, Hillary, Hillary Clinton, Limericks, Russia9 Comments on The Clinton Foundation, Hillary’s e-mails ready to hack, lawlessness running wild. A Limerick. Sarah Palin’s e-mails. A Limerick. 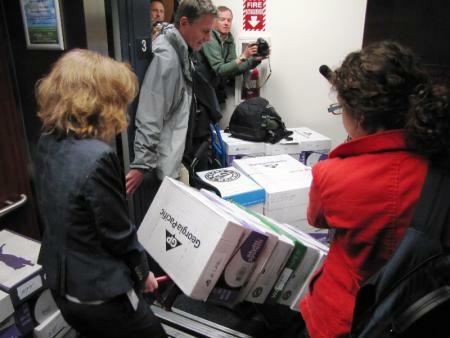 Over 23000 pages of Sarah Palin’s e-mails were released June 10 2011, covering her years a Governor up to her selection as Vice President. Washington Post called for volunteers to help them dig up dirt. What did they find? Nothing, except more than 13000 e-mails without anything embarrassing, all produced in a time span of 2 years. Who, if any can duplicate that? After reading a few of the e-mails I came away with the impression: This is exactly the executive I would like to work for: demanding, no nonsense, inspiring, compassionate, organized and clear. instead fell on their sword. Soon President Palin we all may be hailin’. 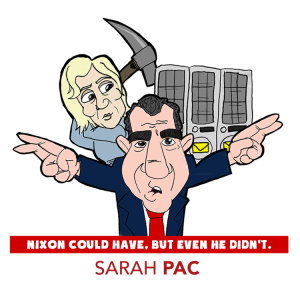 Posted on February 9, 2012 February 9, 2012 Categories limerick, Politics, Sarah PalinTags e-mail, Limericks, politics, Sarah PalinLeave a comment on Sarah Palin’s e-mails. A Limerick.